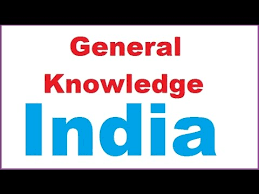 General Knowledge questions on Indian GK for Bank PO, IBPS, Bank Clerical And Indian GK For RRB Assistant Loco Pilot Group D 11-05-2018 questions for bank exams, very important computer-related questions for Bank PO, SBI PO, IBPS,RAS, IAS, UPSC, RPSC, 1st, 2nd, 3rd Grade Teacher, REET CTET, LDC, SSC CGL, IBPS, MBA, CAT, MAT, SBI-PO, RBI And Railway, Indian Army And all competitive Exams, and Most expected Computer Question Papers with answers. These Questions are most commonly asked in Other Banking Exam And All subject Wise Notes and Math, Hindi, English, History, Political Science, Psychology, Sanskrit Related Study material. Question. (1) What is the most northern point of India? भारत का सबसे उत्तरी बिंदु का क्या नाम है? Question. (2) What is the name of India’s southernmost point? भारत का सबसे दक्षिणी बिंदु का क्या नाम है? Question. (3) The southern tip of peninsular India? प्रायद्वीपीय भारत का दक्षिणी बिंदु है? Question. (4) The is Indira Point another name? इंदिरा पॉइंट का अन्य नाम है? भारत का सबसे पूर्वी बिंदु है? Question. (6) India’s most west point? भारत का सबसे पश्चिम बिंदु है? Question. (7) India is the longest borderline country? भारत की सबसे लम्बी सीमा रेखा से लगा देश है? Question. (8) India is the smallest borderline country? भारत की सबसे छोटी सीमा रेखा से लगा देश है? Question. (9) The total number of islands in India? भारत में द्वीपों की कुल संख्या हैं ? Question. (10) The total number of islands in the Bay of Bengal? बंगाल की खाड़ी में द्वीपों की कुल संख्या है?